Very impressive amount of skill...! 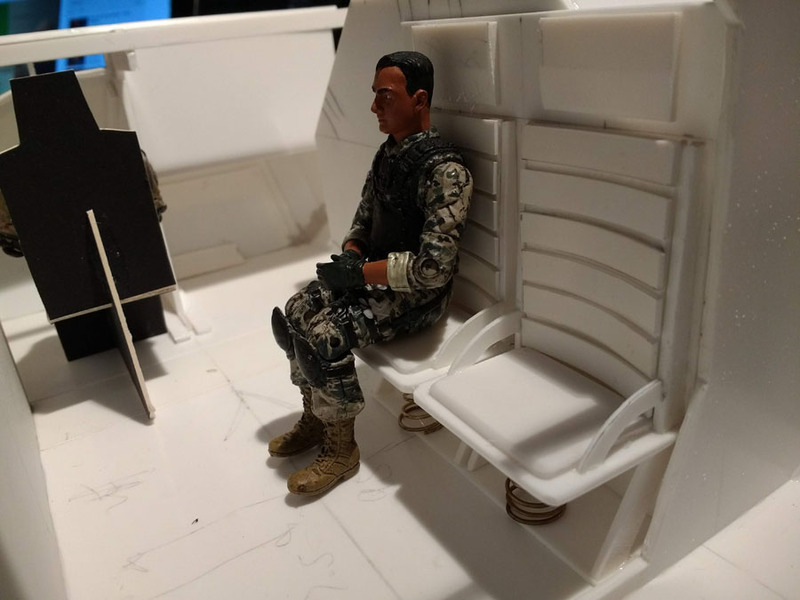 I know the seats look a little wide compared to the full-scale set but I have to err on the side of caution until I know how wide the official figures are. 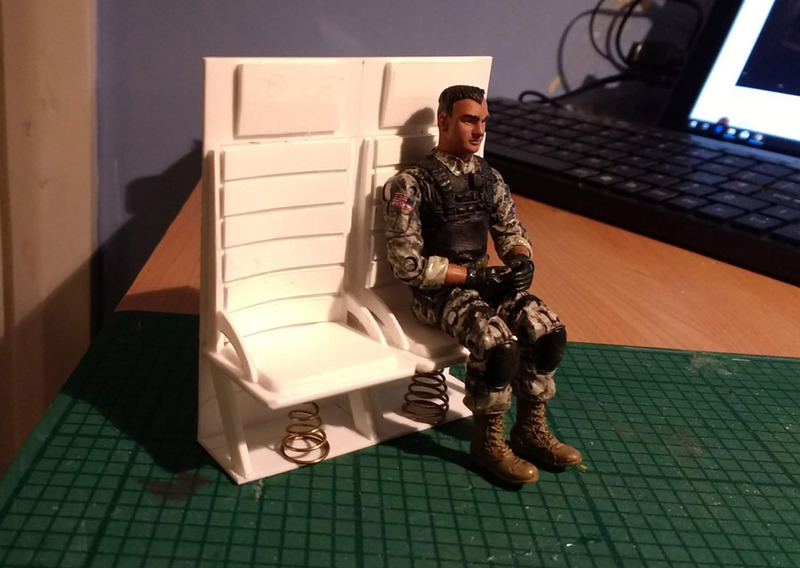 These two seats are a test guide to see how they look in situ. I'll concentrate on other areas until I have better info (and a figure or two). Which figures are you planning on manning it....the old Hot Toys or the new HIYA figures? I'm hopefully getting a couple of the old Hot Toys series to try out. It probably won't matter which I choose in the end since there'll be some customising needed on almost all of them to represent the full crew. The donor vehicle for the APC, the ATT77, was manufactured in Hunslet, Leeds (UK). I was born in Leeds and lived a couple of miles away from that facility. When I was growing up in the sixties and seventies my father was a contract steel fabricator working in that area and may well have worked on that vehicle. Sadly he passed away decades ago so I'll never know for sure. 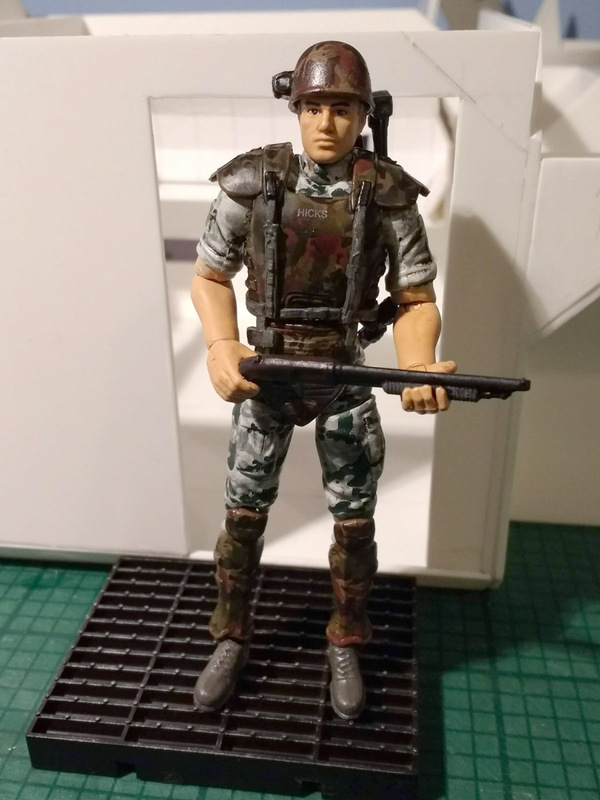 Well, I got a couple of Hiya Toys 1:18 scale Colonial Marines from my son for my birthday so here's Hicks! Sadly Hudson had to be returned to medical - his right leg won't attach properly. Hopefully he'll be back with us soon. Overall these guys are 'OK'. I actually think I can do at least as good (and definitely more robust) figures using existing 3.75 in (1:18) custom jobs. What's the rating on those seat springs? 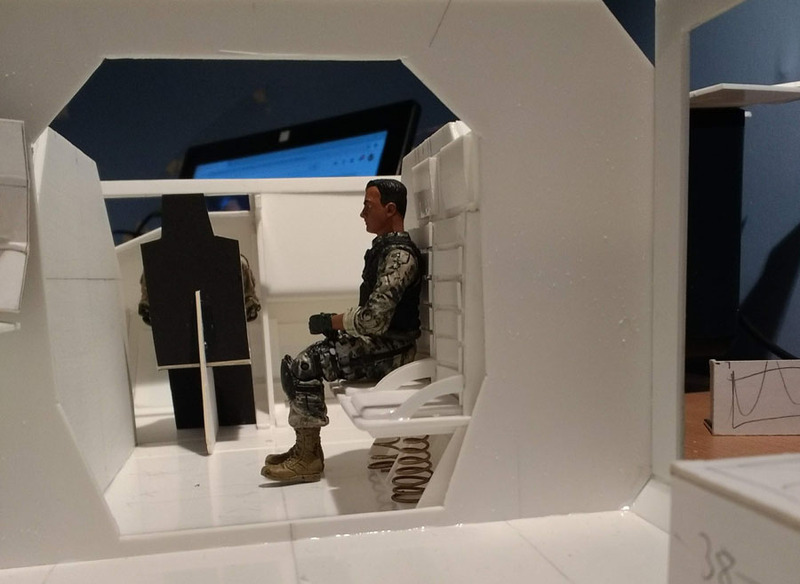 Are those screen accurate? Hah - yeah, I always thought they looked a little 'iffy' but they're definitely legit. I'm torn between being faithful to the set and compromising with some kind of better looking piston/dampener instead. We'll see which way it goes. 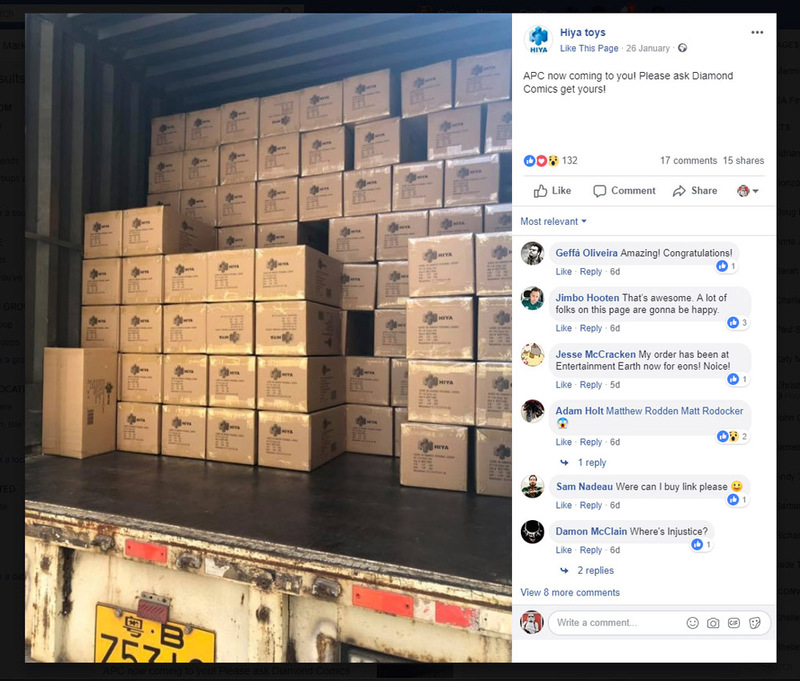 Looks like Hiya Toys are shipping their APCs if this pic from their FaceBook page is correct! I'd better get cracking with mine. 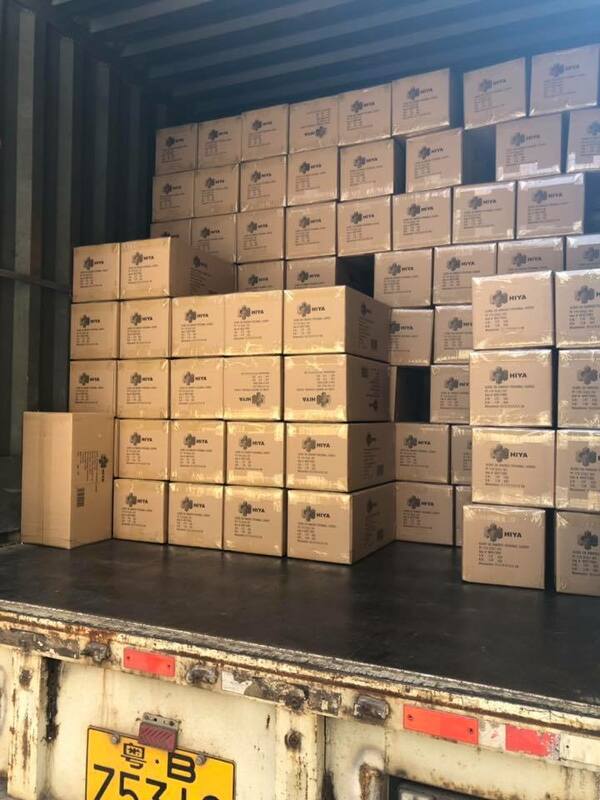 Is there a higher res version of this photo so we can see if the writing on the boxes say something to that effect? This is the highest res I could find. It does include the text from Hiya Toys though.